This photos was added to our Facebook page and with permission from photographer Summer Barratt, we are sharing it here. 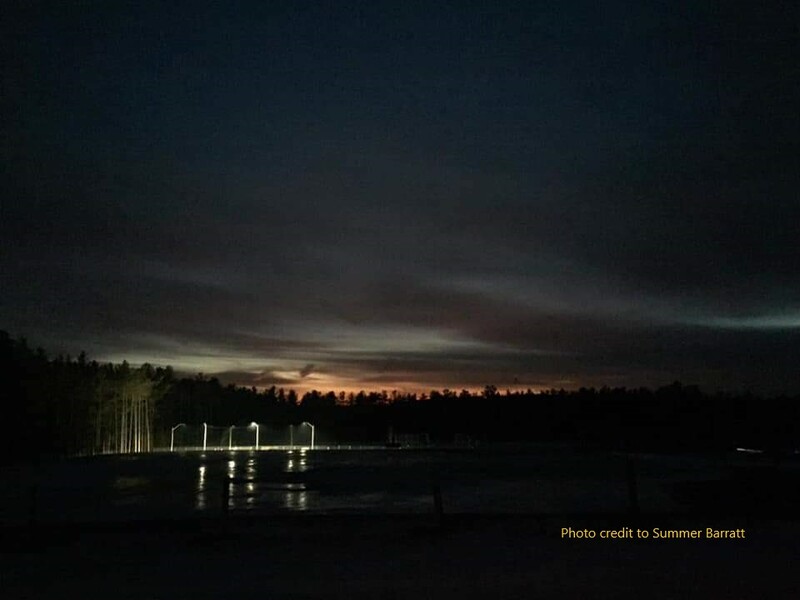 The new LED rink lights have been a significant upgrade and Summer captured this moment one evening last week after enjoying a skate at the rink. The rink (soon to be rinks) are free and open to all users. Please be respectful of all levels of participants and put trash in its place.